Dealing with a child who is a picky eater can be a nightmare – much less handling an entire household of them. However, it's your paternal duty to make sure your children are getting the nutrition their growing bodies and minds need. With the first day of school right around the corner, here are a few tips on incorporating memory-enhancing foods into your kids' diets. 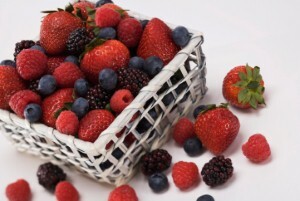 Sweet and delicious, berries are high in antioxidants, which makes them ideal brain-enhancing fruits. While it might not seem like a pressing concern right now, these antioxidants will protect your children's minds from memory loss caused by free radicals in the future. Not sure how to convince them to eat blueberries, strawberries, cranberries or raspberries? Consider blending them into a delicious and refreshing smoothie! This one could be a tough sell. Cold-water fish such as mackerel, herring and salmon are chocked full of omega-3 fatty acids, which are essential brain building blocks. How can you convince kids to chow down on something they'll inevitably characterize as smelling "fishy"? Grill up a few tasty salmon burgers while the weather is still nice could be the perfect introduction. Perhaps equally as challenging to sell as fish, leafy, cruciferous greens like broccoli, sprouts and spinach are great for improving memory and concentration along with preserving the mind over time. When meal times roll around, consider putting a small salad on the sides of their plates or topping sandwiches with fresh spinach.